Dieter Schroder was named Regents’ Professor in 2009. 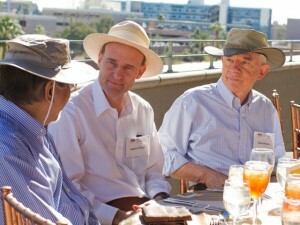 The title “Regents’ Professor” is the highest faculty honor awarded at Arizona State University. It is conferred on ASU faculty who have made pioneering contributions in their areas of expertise, who have achieved a sustained level of distinction, and who enjoy national and international recognition for these accomplishments. Dieter Schroder, Regents’ Professor, noted semiconductor technology expert and revered mentor to many in the Ira A. Fulton Schools of Engineering, passed away on December 24. 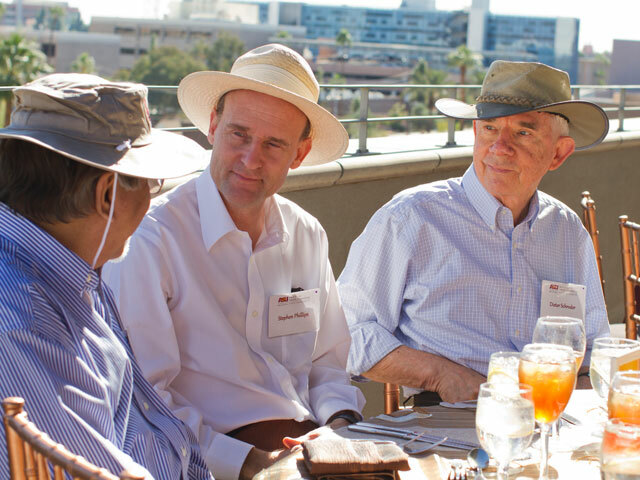 The longtime electrical engineering professor served at ASU for over 30 years. He is remembered by colleagues and students as a skilled teacher and communicator, and a kind and patient man. “He impacted far more lives than one can imagine. He never lost his cool and seemed to always be relaxed. Truly, he was a gentleman always and will be missed,” said Regents’ Professor David Ferry. Schroder joined the faculty in 1981 after 13 years at Westinghouse Research Labs. His industry experience at Westinghouse, along with close working relationships at Motorola, Intel, Sperry Flight Systems, Texas Instruments and Litton Industries, gave him a unique perspective as a teacher and mentor. Schroder graduated 64 master’s students and 42 doctoral students during his time at ASU. Among his many teaching accolades, he was named Outstanding Doctoral Mentor by the ASU Graduate College and earned six engineering teaching excellence awards. “Dieter was here when I came in 1983. He was the first of the research professors but he was an educator as well. As I said when introducing him at the Regents’ Professors installation, he got teaching evaluations that I can only dream about. And, he was exceedingly well recognized externally for his research,” said Ferry. Schroder’s knowledge of semiconductor characterization—how to put the special characteristics of electrical materials to useful work— and the significance of his research earned him an international reputation. 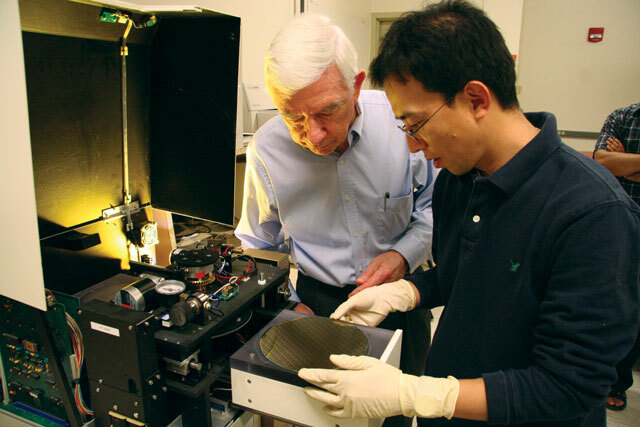 Schroder helped make ASU a leader in solid-state electronics research. Under his direction, researchers at the Center for Low-Power Electronics helped solve the problem of how to make integrated circuits operate more speedily while also controlling the excessive heat the circuits generated in the process. The solutions are widely applied in the computer microprocessor industry. His books and courses have become models for teaching. His textbook “Semiconductor Material and Device Characterization” is used worldwide. Closer to home, Schroder was a central figure in the development of engineering education at ASU. “Dieter cared deeply about our students and taught every level from freshmen to Ph.D. students. He was extremely generous with his time and always had an open office door for students, colleagues and even administrators. I consulted with him regularly about strategies for improving our programs and his perspective proved valuable on every occasion,” said Stephen Phillips, school director and professor, School of Electrical, Computer and Energy Engineering, one of the Ira A. Fulton Schools of Engineering. 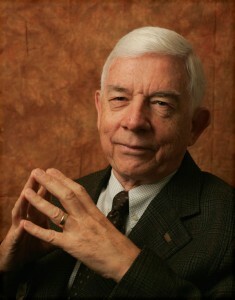 During his career, Schroder published two books, 10 book chapters, 178 journal articles and 167 conference presentations. He edited 11 books and was awarded five patents. Most recently, he served as deputy director of Quantum Energy and Sustainable Solar Technologies (QESST), an NSF-DOE Engineering Research Center established at ASU in 2011.